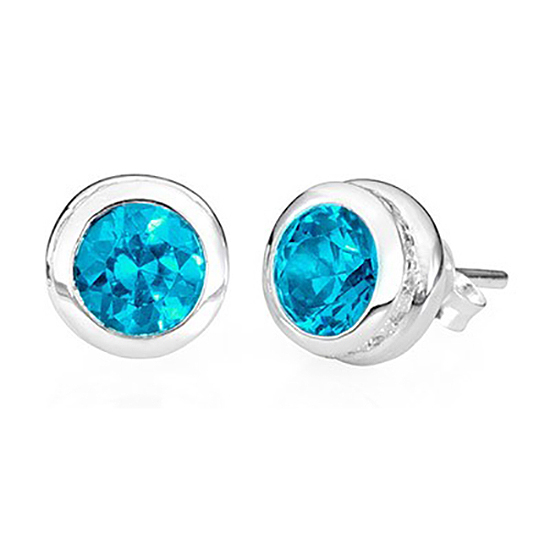 Treasured Memories® Classic Stud Blue Topaz Earrings, available in each birthstone, are elegant pieces sure to catch attention and sparkle as you turn your head. While our lovely earrings are not designed with a sealable compartment, they match the End Caps for our Keepsake Bracelets and Pendants. Each stone has symbolic and powerful strengths that range from providing the wearer with harmony, peace, sympathy and joy. Select the stone of your birth month or the birth month of your loved lost one. "I love your products and will always recommend you to friends and family!"